Two years ago, nobody would have thought that the Yaounde crime syndicate that passes off as a government would ever yield to any pressure. The support it was enjoying from France gave it the impression that all would be well at the international level and that Southern Cameroonians would never turn the table on a government that has been built on lies and arrogance. With French support, the country’s ailing and aging president, Paul Biya, has been conducting himself as a monarch, holding that he was the master of diplomacy and that France will always intercede with the European Union on its behalf. 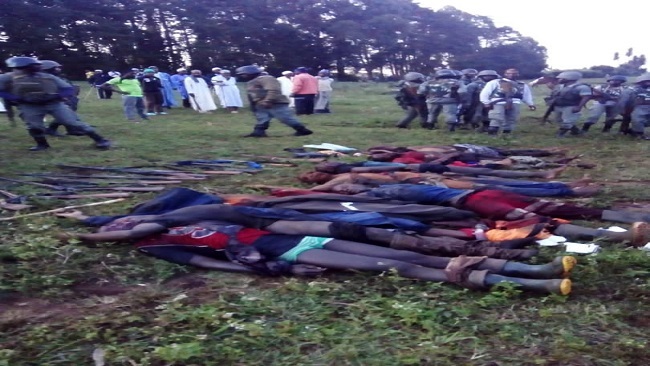 Of course, for two years, the European Union looked the other way, while Mr. Biya’s militia mowed down the people of the North West and South West regions of the country. The fighting has gone on for close to three years and more than 5,000 Cameroonians have lost their lives in a war that the U.S.A Undersecretary of State for African Affairs, Tibor Nagy, has declared as unnecessary. Most of those killed are innocent civilians, especially women and children who cannot run into the bushes for them to be protected by Southern Cameroonian fighters. Many soldiers have also been sent to an early grave, though their families are not aware of what has happened in the South West jungles where hundreds of soldiers have been buried alive. The picture is even grimmer when you take a closer look at other aspects of life. Thousands of soldiers are dealing with shattered legs and arms. Post-traumatic stress disorder has become a normal health issue among the country’s soldiers, although the government is doing a good job at hiding the truth. But the Yaounde government has lost its charm. Its lies have been discovered. First by Americans and later by the European Union that is taking the French government to task for its role in the serious human rights violations that have played out in Cameroon’s two English-speaking regions. Americans can no longer trust Mr. Biya and his band of incompetent and ineffective gangsters whose cardinal objective is to subject the people of Cameroon to grinding poverty and dehumanizing corruption. While they consider Cameroon as a major ally in the fight against Boko Haram, the Trump Administration has easily figured out that weapons sent to fight this religious sect were instead used to maim and kill innocent Southern Cameroonians who just want the errors of the past to be addressed through peaceful means. Washington has promptly reduced its military aid to Mr. Biya’s crime syndicate and has urged its undersecretary of State for African Affairs to speak up against a corrupt and unreliable Yaounde government that has little or nothing to offer its suffering masses. The Trump Administration wants a political and personality change in Yaounde and Mr. Tibor Nagy has been throwing deadly punches at the old Yaounde government that is visibly on its last leg. The Southern Cameroons charm diplomatic offensive is effective. It is working like a charm. The European Union is under its spell and there is not much France can do. France’s traditional allies have jumped ship and they are siding with Washington that is clear about its intention. Thanks to Ambazonian diplomacy, the Trump Administration has woven a network that is hemming in the Yaounde government that once thought it had the leeway to murder its own people with impunity. The American arms embargo is being supported by most European countries and before the end of this week, Yaounde will know what the EU decision and sanctions will be. The usual recreation is over and Yaoundé’s reaction to the EU’s criticism of its actions in the two English-speaking regions of the country and its imprisonment of Professor Maurice Kamto, the winner of last year’s presidential election, speaks to the frustration that has become the government’s hallmark. Last night the country’s minister of communication and government spokesperson held a press conference on the unsettling EU criticism. As usual, he reminded the EU that Cameroon was dealing with common criminals and separatists, adding that Cameroon was a sovereign state. Cameroon is always a sovereign state when it is being taken to task for misconduct, human rights abuses and corruption. But its sovereignty melts when its president heads to the West, cap in hand, to seek financial assistance to the same countries it has been sending reminders about its sovereignty. 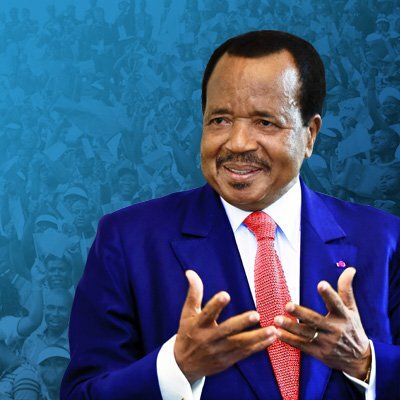 By preaching sovereignty to those who have sustained them in power for decades, Mr. Biya and his government are simply shooting themselves in the foot. Cameroon is hurting and the government has clearly lost its way. From the noise coming out of Yaounde, it is clear that the government is in a tight spot. Ambazonia’s charm offensive abroad is keeping the government awake all night. Besides taking a punch to the liver due to the humiliation abroad, the government is facing a huge financial deficit. It is out of cash. Its Automatic Teller Machines (ATM) are dry or simply broken down. CDC, PAMOL, Delmonte and other state-owned corporations have crumbled like packs of cards. 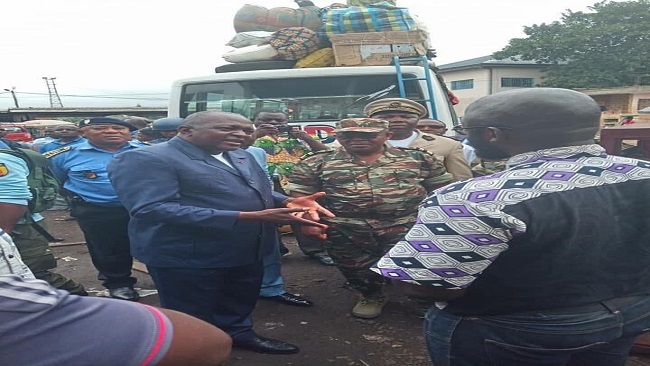 Southern Cameroonian fighters have succeeded to disrupt government activities in the English-speaking regions and the cash-cows (state-owned corporations) that have fed Yaounde politicians fat over the last five decades are no longer delivering the “milk and honey” that have kept the system going. The Southern Cameroons crisis that started like a simple protest has finally brought the arrogant Yaounde government to its knees. Its traditional financial allies are gradually walking away from it and the cash flows that fed its ego are gradually and slowly drying up. Southern Cameroons’ Diaspora has given the Yaounde government a very bad name and even within international financial institutions, the country is being viewed as a dry hole that has nothing to offer. Most projects in the two English-speaking regions financed by the World Bank, the European Bank for Reconstruction and Development and the African Development Bank have been put on hold till further notice. Funding for the ring road is available at the World Bank and the African Development Bank, but the chaos playing out in the two English-speaking regions has made it hard for any disbursements to be made. Despite assurances from the beleaguered government, development finance institutions are very reluctant to deal with a government that is adept at speaking from both sides of its mouth. The nightmare is getting worse by the day. Cameroon’s debtors have begun knocking at the door. They want their money back, but Yaounde is in no position to reimburse the hefty loans it had contracted. The dying government is no longer solvent. The international finance world is skeptical about Cameroon’s ability to meet its international financial obligations. That is why a high-level delegation from China’s EXIM bank which granted a massive loan to Cameroon in the second half of 2018 has shown up in Yaounde to remind the government of its obligations. China’s EXIM bank wants its money, but Yaounde is speaking a language that is not music to EXIM bank’s ears. The crafty Chinese are asking for a re-negotiation of the repayment terms. Yaounde has already defaulted in February and this is worrying to the Chinese who are not so sure about Mr. Biya’s future. It should be recalled that China EXIM bank was the only bank that had accepted to extend a loan to the bankrupt government when all other major international financial institutions lost appetite for Cameroon’s debt. It never rains, but it pours! It is now hard for Mr. Biya to even venture out to ask for more loans. The U.S.A has slammed members of his government with travel bans and Europe is no longer welcoming. Even Switzerland that took care of Mr. Biya’s health is now thinking differently. Cameroon’s Diaspora has become a major threat to Switzerland and Mr. Biya is no longer wanted on the shores of a country he so loves. The days ahead bear no hope for Cameroon. Mr. Biya has gambled and lost. His decision to fight instead of negotiating with Southern Cameroonians is finally coming back to haunt him. He has lost his allies and now the money that used to make him arrogant is also disappearing. However, he still has a chance to make it right. Talking to all the stakeholders and renouncing war as a conflict resolution instrument. The world is watching him. If he does not heed calls by the international community to organize an inclusive dialogue, he might be the next dictator to exit the political scene. This will be a painful exit. He just needs to check with Abdelazziz Bouteflika of Algeria and Omar Al-Bechir of Sudan. It is never too late to mend. Soccer fans in Cameroon were undoubtedly dismayed in January when the Confederation of African Football stripped the country of its hosting the 2019 June-July African Cup finals. The body cited security issues and lack of preparation in transferring the honor to six-time African Cup host Egypt. 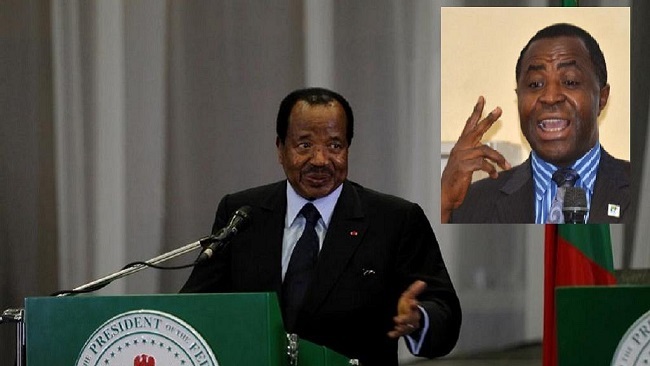 But the recent ouster of two long-serving African presidents—Abdelaziz Bouteflika in Algeria and Omar al-Bashir in Sudan—has intensified the focus by Cameroonians on the nearly 37-year reign of their aloof 86-year-old president, Paul Biya. Citing corruption and political marginalization, opposition figures and Anglophone region activists strive to make Biya the third African leader ousted in 2019 as a result of popular protests. So far, Cameroon’s security services have managed to suppress protests that have broken out, but the Cameroonian diaspora in Europe has been effective in generating sustained attention for change. While only intermittently covered by American media, and with the United Nations and African Union mostly mute, Cameroon is currently engulfed in three separate crises. First, since 2014, Boko Haram has terrorized Cameroon’s far north region, adjacent to Nigeria’s Borno State (where Boko Haram was founded in the city of Maiduguri) with murders, kidnappings, and destruction of infrastructure. Despite military support, training, and equipment from the United States and others, Boko Haram in Cameroon remains a persistent, serious threat. Tens of thousands are displaced and livelihoods destroyed. With Boko Haram incursions on the rise in 2019, Yaoundé’s brutal security responses are so tainted with credible human rights allegations that the United States in February announced a reduction in its assistance. In addition to the heavy burdens imposed by the Boko Haram and Anglophone crises, the U.N. High Commissioner for Refugees (UNHCR) estimates that Cameroon—with a population of 24 million—hosts nearly 400,000 refugees fleeing violence in neighboring Nigeria and the Central African Republic. Now, with the Algerian and Sudanese protests leading to the respective militaries’ removal of two long-serving presidents, previously disparate and quiescent opposition against President Paul Biya has mobilized to create Cameroon’s third, and—while not yet violent—potentially most serious crisis. With previous constitutional term limits abolished in 2008, Biya, who has ruled since November 1982 (and who served as prime minister from 1975 until 1982), was sworn in November 2018 for his seventh presidential term. The official election results, disputed by the opposition, gave him 71 percent of the vote, with opposition leader Maurice Kamto in second position, with just over 14 percent. For years, fatigue and disenchantment with Biya’s rule has simmered below the surface in Cameroon and boiled openly in the Cameroonian diaspora. Complaints and jokes focus on his frequent and lengthy sojourns in Europe, corruption, aloofness, curtailment of civil liberties, lifestyle of his younger wife Chantal, and (given Biya’s age of 86) lack of any transparent succession planning. The lopsided official election results provoked protests in Cameroon and in diaspora communities, with Kamto claiming victory. The January 2019 arrest of Kamto and scores of protestors in the port city of Douala attracted scant notice in the media outside of Cameroon (despite condemnations from Nagy, EU High Representative for Foreign and Security Policy Federica Mogherini, and others) but reinforced the opposition protests, especially in Europe. Expats attacked Cameroon’s embassies in Paris and Berlin and threatened to storm Geneva’s Intercontinental Hotel, should Biya, a frequent resident, again check in. Now, with the removals of Bouteflika and Bashir, anti-Biya protesters hope to attract attention with new chants: “It can happen in Sudan; it can happen in Cameroon.” So far, Cameroon’s security services have managed to prevent sustained, mass demonstrations at home. As was the case in Algeria and Sudan while the protest movements swelled, it is not clear how the military would react should the Cameroon opposition movement gain momentum. The military’s performance in the Anglophone and Boko Haram violence is not encouraging, in terms of adherence to human rights norms. But fighting Boko Haram terrorists and Anglophone secessionists simultaneously may give Cameroon’s military leaders pause before taking on, in addition, political protestors in Cameroon’s Francophone political heartland, should Sudan-style mass protests materialize. Biya himself is taking no chances: Unusually for him, he has remained in Cameroon for more than 200 days without travel to Europe. What is clear is that this is the time for conflict prevention efforts by African or other leaders, in hopes of moderating any response to protests in order to stave off the potential for a third Cameroon crisis turning violent. The problem is identifying a person, institution, or country with influence on Biya, who has been as aloof from his peers as from Cameroon’s citizenry. Despite his frequent and extended absences from Cameroon, he has not used the time abroad to bond with other leaders, rarely attending the annual United Nations General Assembly and only participating in a single African Summit in the last seven years. 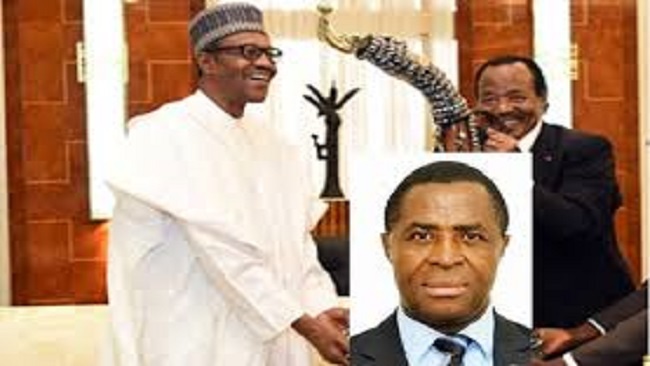 (Biya attended the March 2013 African Summit in Malabo, probably due to his shared Fang ethnic connection to Equatorial Guinean President Teodoro Obiang Nguema Mbasogo.) Compared to other heads of state in Francophone Africa, Biya is not especially close to Paris. Given Biya’s de facto part-time residency in Switzerland, and in light of the Cameroonian diaspora’s focus on Geneva, the Swiss may have both interests and leverage, especially if backed by others such as Nagy’s, Mogherini’s, and African Union interventions. Yet as failed conflict prevention efforts globally demonstrate, persuading any national leader to accept outside help to address a domestic political issue is hard. Biya’s response to U.N., U.S., and other efforts to focus on peaceful resolution of the Anglophone conflict is not encouraging. Regional and international unity to demand a political approach to address Anglophone grievances and expand political space (including release of opposition activists, including Kamto) might force Biya to adjust his approach but will require leadership by the United States or another power to muster. Credit agencies have already noticed that all is not well in Yaounde, with Standard and Poor’s and Moody’s both recently indicating a “negative outlook” to their respective B and B2 credit ratings. Cameroon’s immediate neighbors are themselves facing challenges and are not in positions to offer much in the way of help or example. To Cameroon’s northwest, parts of Nigeria remain terrorized by Boko Haram. To Cameroon’s east, the Central African Republic remains deeply unstable and violent, despite the February agreement signed in Khartoum by 14 militias. South of Cameroon, Gabonese President Ali Bongo Ondimba claimed victory in a disputed 2016 election (extending his family’s nearly half-century control over Gabon) but has since October 2018 been absent from Libreville for long stretches of time for health issues. On Cameroon’s southeastern border, the Republic of Congo under President Denis Sasso-Nguesso (no stranger to controversial lopsided election results) has used violence against demonstrators in the Pool region, leading to tens of thousands of displaced, in addition to hosting thousands of refugees fleeing violence in the neighborhood Democratic Republic of Congo. This part of Africa has no shortage of crises, but little in the way of obvious solutions. The Western press is also taking a rather strange stance on this conflict, which they often term a “near-civil war”. But a civil war implies that there is some kind of equivalence of power between the two parties, as if there was any doubt about which side might prevail. This is simply not the case here. No amount of hardened “secessionist insurgents” is going to pose a real threat to the Francophone government, or indeed the Francophone regions. Short of the two sides coming together to agree on some kind of compromise – and at this stage neither is contemplating such a thing – there are exactly two possible outcomes: Either the Biya government decides to just cut the two Anglophone regions loose and carry on with the Francophonie, or it decides to drown the two provinces in blood. 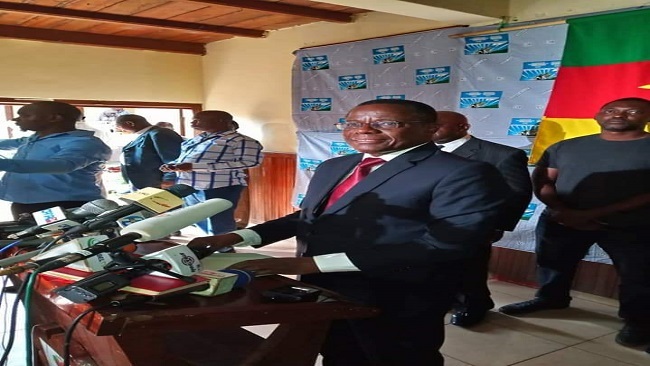 Cameroon’s electoral body Elections Cameroon (ELECAM) attempted to register at least 10 million voters before the legislative and municipal elections in September, said ELECAM Chairman Enow Abrams Egbe. Voter registration throughout Cameroon and in the country’s diplomatic representations abroad began in early January. Cameroon will hold at least two elections, including legislative and municipal elections scheduled for September, according to the electoral calendar. Regional elections could also be held in the year. According to ELECAM statistics, about 6.67 million people were registered in the presidential election in October last year, including 19,420 abroad, with a turnout of 53.85 percent. 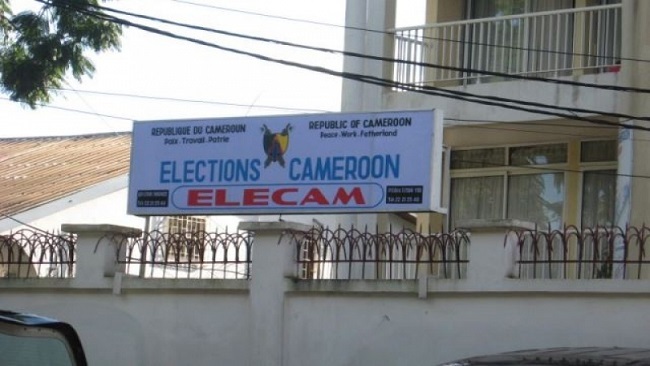 “We hope that calm and peace will return to facilitate the registration process,” said ELECAM’s Director General Erik Essousse.